I’lam - Arab Center for Media Freedom, Development and Research was founded in 2000 by a group of Palestinian intellectuals and journalists active in the fields of civil society, media and research. The I’lam Center works to empower Arab Palestinian society in Israel by means of protecting freedoms, human development and research. These objectives translate to action in the following channels: Cultivating Youth Leadership that respects human freedoms and has the tools to express the needs and interests of Arab Palestinian society in Israel; Strengthening and Educating Arab Journalists through courses that improve their professional capacities and increase their knowledge of human rights discourse; Developing Strategic Thinking in Arab society to strengthen its ability to achieve its goals through strategic action, and Strengthening the Capacity of Arab Palestinian society in Israel to effectively contend with the challenges it faces; Conducting Research that examines the positioning of Arab Palestinian society in Israel and providing the necessary data for creating a framework for acting in a manner suitable to face challenges and to respond to its need to express itself clearly and practically. The Center’s Director, Ms. Kholod Massalha, leads a team of experts in the world of media, journalism, legal representation, leadership development and research. Ms. Massalha holds a B.A. in Political Science from the Hebrew University in Jerusalem and has been working at I’lam since its inception. Ms. Massalha manages I'lam's staff and supervises its operations. She is responsible for the implementation of the center's programs, projects and activity promotion. 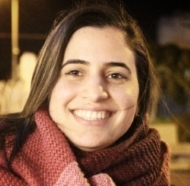 In the past, Ms. Massalha has worked as producer at Hebrew University’s radio station, taught political science at a high school in Daburiyya and worked as a researcher for the documentary film Dancing Arabs. Massalha’s work for I’lam’s Hebrew Media Project has contributed to an increase in coverage of Arab society in Israeli media. Professor of Political Science and former General Director of I'lam. As Senior Advisor, Prof. Jamal supports I'lam's work by contributing his vast experience and expertise to the organization. He specializes in political communication, political theory, social movements and national minorities. Publications he has released in these fields include Arab Minority Nationalism in Israel: The Politics of Indigeneity (Routledge, 2011) and The Arab Public Sphere in Israel: Media Space and Cultural Resistance (Indiana University Press, 2009). 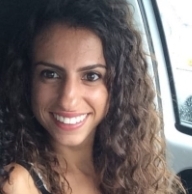 Ms. Ailabounie-Helo runs I'lam's office in Nazareth and is responsible for the administrative coordination and collaboration with other organizations, associations, and institutions. Deema holds a B.A. in Media, Journalism and Linguistics and a M.A. in Media and Journalism from the Hebrew University of Jerusalem. 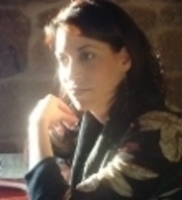 She has worked in different positions, including: Research Assistant to Prof. Eitan Alimi from the Political Science Department at Hebrew University, coordinator and facilitator of different dialogue groups between Israeli and Palestinian students at Hebrew University, Media Coordinator of the Mada al-Carmel Center and translator of Arabic, Hebrew and English. Saji completed her B.A. in Media and Political Science at the University of Haifa and holds a M.A. in Media from the same university. 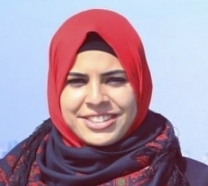 She has been involved in the practical application of different projects in a variety of Arab institutions active in civil society and is a research assisstant at the University of Haifa. Yaqeen holds a B.A. in Communication and Arabic from the University of Haifa. Prior to joining I'lam, Yaqeen worked as a journal photographer and an Arabic language and communication teacher and took part in several media workshops in Ramallah, Istambul and Amman. I’lam’s General Assembly is composed of over 50 members including media personnel, media experts, academics, journalists and social activists. I’lam continuously invites new people to join its GA. The GA meets once a year to elect the Board and Audit Committee members, and to approve I’lam’s financial and professional reports. Mr. Anton Shalhat, editor at Al-Madar. Ms. Kawkab Khoury, social worker. 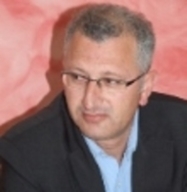 Attorney Sammy Mahanaa, journalist and poet. Dr. Johnny Mansur, professor at I'billin College. Attorney Alaa Mahajana, independent attorney. Attorney Awni Bana, independent lawyer and previoulsy long-time worker at the Association for Civil Rights in Israel. Ms. Shatha Zoubi, social activist and specialist in mass mobilizations.